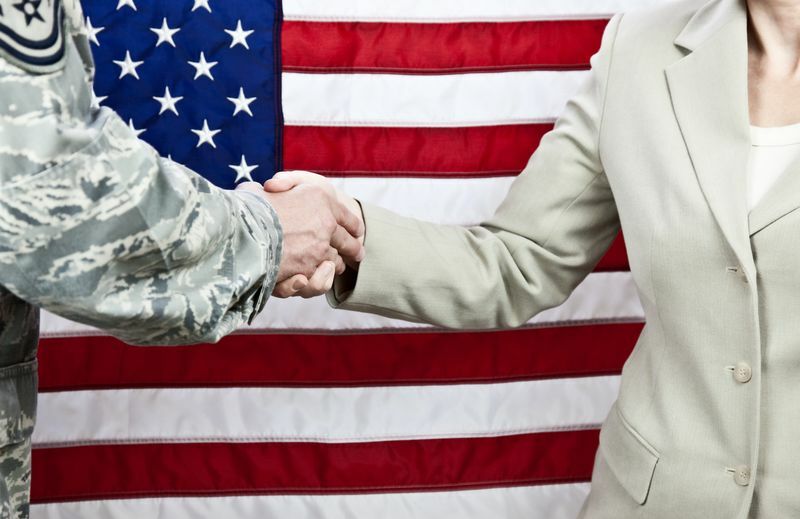 Transitioning into the corporate world isn't always seamless for veterans. A Schwab executive's story on what made him feel at home after time abroad. Being a people leader is what I’ve always wanted to be. I think it goes back to when I participated in sports growing up. I really loved, and still do love, being part of a team where we work hard to prepare for the season, deal with the trials and tribulations of completing something, and celebrate our accomplishments. It was that love of team, of spirit and of selfless leadership that drew me to both the Army and Air Force. It’s also a good description of what I was looking for in a work culture once I left the military. Oklahoma is where I grew up. After high school, I enlisted in the Army and took a job as a mainframe programmer. I chose that route because, at the time, a relative had told me computers were the way of the future. After two years, I applied for an ROTC Scholarship and was accepted into the Air Force program while I attended the University of North Texas. That’s where I earned a degree in computer science. My time in that program accelerated my leadership skills and understanding of how to manage people. I learned that leadership is about the people, the unique individuals. It’s not just about the mission of the organization. During my seven years as a commissioned officer in the Air Force, I completed short deployments, worked on everything from network technologies to military weather products, and built out a large data center. In my spare time, I also earned a master’s degree in computer engineering from the Air Force Institute of Technology. During those years, I learned a lot of skills that helped set my career up for success once I entered the corporate world. Most specifically, I learned about the importance of putting service above self. I learned about integrity and how it’s vital to a successful team. And I learned about being humble and how that quality can really set up a leader up for success. I left the military in 2001, and since then my corporate career has taken me to large companies both in the United States and abroad. When I look back to that transition, I remember being nervous. The military had provided me with so much, including a safe community and lifestyle for me and my family. Leaving that community meant really stepping out of my comfort zone. When I started interviewing with companies outside the military, I was looking for signs that the organization valued veterans’ perspectives and provided strong support structures for the transition from the military to a corporate environment. And that immediately became clear when I began meeting with the team at Charles Schwab – and especially once I made the decision to join the company. It reminded me of when I was moved to a new base or new assignment in the military: Schwab employees who’d served our country reached out to make sure that things were going smoothly and to make sure I got plugged into Schwab’s military veteran community. I was also introduced to the Military Veteran’s Network, Schwab’s employee resource group for veterans, which made a huge difference. Two years later, I’m happy to say I’ve found my home at Schwab. I have the privilege of leading an organization of around 800 outstanding Schwabbies that focus on the success of our technology environment on behalf of our clients and employees 24 hours a day, seven days a week. In my role, amongst other things, I’m responsible for the construction of a new data center for Schwab in Fort Worth. And it’s from there that my team has its sights set on continuing to drive forward our incredible change agenda over the next few years. It’s going to require a lot of hard work and the challenges ahead remind me of the saying that was painted on the ceiling of our Air Force ROTC detachment. It said, “No deposit, no return.” If you don’t put in the hard work, you won’t reap the rewards. I challenge my Schwab team (and my three children) with that mindset every day. I am a veteran. And I’m proud of my service. I’m also proud of corporate cultures, like Schwab’s, that see the value in my service, honor those who have so selflessly given to our country, and reward the selfless leadership found in many of our nation’s veterans. Dustin Yates is the Senior Vice President for Technology Infrastructure Services, responsible for all aspects of Schwab’s infrastructure, including operations, technology, engineering, architecture, and miscellaneous shared infrastructure services across Schwab’s data centers. Dustin joined Schwab in late 2016 after eight-plus years with Capital Group Companies in a similar role. He’s a former United States Air Force officer. Dustin holds a master of science in computer engineering from the Air Force Institute of Technology, where he published the results of his thesis work in network design and simulation approaches for highly scalable, parallel data analysis algorithms. He’s a graduate of the University of North Texas, obtaining a bachelor of science in computer science where he was a member of the Air Force Reserve Officer Training Corps.